Next week, Altmetric will release the list of the Top 100 most popular articles of 2018. As we learned in last week’s blog post, the annual Top 100 list has seen many interesting topics and trends in the last five years. (Side note: Altmetric’s tracking of books is a little different to that of articles – at the moment it covers books from over 50 publishers, and any mentions to titles listed on Google Books and Amazon. That means a lot of scholarly books, but of course not all, so bear that in mind when reading our summary below!). Immediately obvious in this list is a dominant theme of politics and polarization. Many of the Top 20 books are about current US and UK politics, including Brexit and President Trump. Remarkable in the Top 20 books list is how different the overall subject areas are from the typical Top 100 articles list. The Top 20 books are mostly related to “Studies in human society” (17 of 20), whereas the most popular subject for Top 100 articles, “Medical & health sciences”, appears only twice in the Top 20 books list. It’s worth pointing out that there are several non-scholarly trade titles that appear in this list, which may contribute to the subject area differences between the two lists. Most of the Top 20 books were published by organizations such as Rand Corporation, World Bank, and National Academies Press*. This differs from the typical Top 100 articles lists, which are most often published by academic publishers such as SpringerNature and AAAS. The exception here is the National Academies of Sciences, which has published many of the Top 20 books of 2018 (through NAP), as well as many Top 100 articles to date (in the PNAS journal). Twelve of the Top 20 books are Open Access–a trend that also diverges from the typical Top 100 list, which usually only contains 30-40% OA research. The Top 20 books were most mentioned on Twitter (50,074 tweets total, median of 2099.5 tweets per book) and in the news (1087 mentions, median of 15.5 news mentions per book). The Top 20 books were surprisingly not mentioned at all on Reddit, nor in patents or peer reviews. That’s it for now! While you wait for the Top 100 to drop next week, have a closer look at the books that most caught the public’s attention this year. * It’s worth noting that many of the Top 20 books of 2018 are actually works that could arguably be better classified as gray literature. 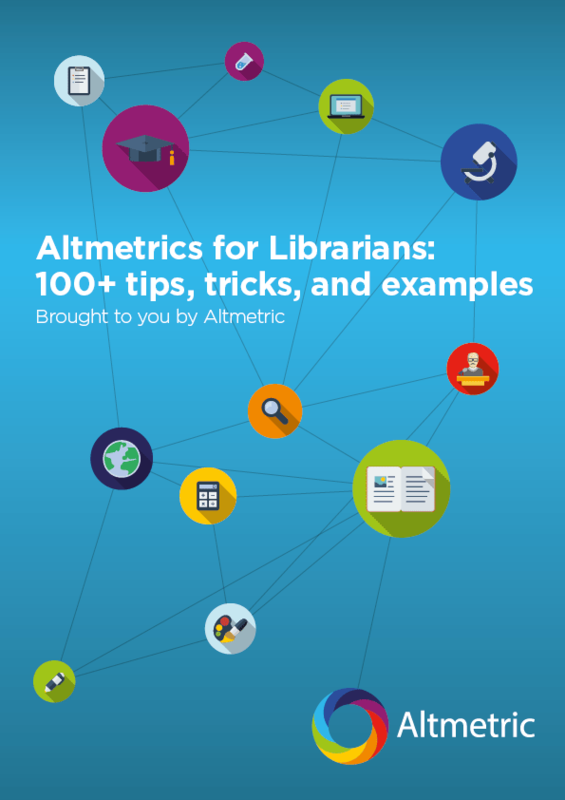 However, as they have similar characteristics as books in terms of length, and structure, Altmetric tracks and reports them in the same category as scholarly books.